Bose Qurum, Al Ghazal Pub and the OUA store in MQ. 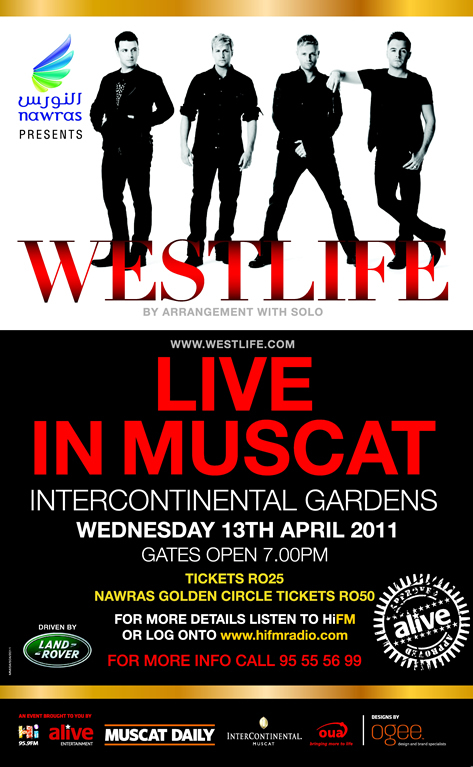 As much as I despise Westlife, it's good to see more of these kind of events in Muscat. he he i'd go coz there wont be anything else happening that weekend in muscat!! I'm in love with Westlife and I have so many childhood memories with their songs! I love them so much! I can't believe they're coming to Oman! AmasE maybe we can go together? I'm serious! I hope my family will let me go! !